Are you ready for another head buster lab scenario, well this lab should provide you with all the challenge of a real CCIE lab exam. 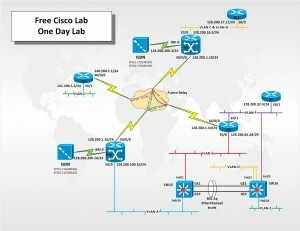 If you can complete this lab within the 8.5 hours allowed for, you may be ready for the real thing. This lab will require real hardware or may be modified for GNS3 as some of the command needed to complete this head buster such as BGP, HSRP and DLSW+ are not supported in Cisco’s Packet Tracer so I was unable to create a Packet Tracer activity to accompany this scenario. The final solution configuration files have been included for all devices so that you can check your solution against recommended solution. But don’t cheat yourself try completing the lab on your own before reviewing the solution configuration files.